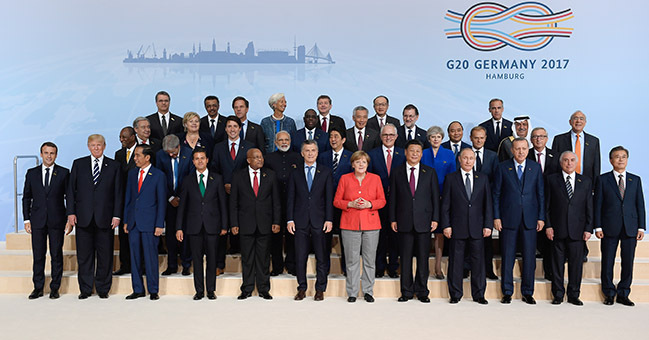 Geneva, 10 July 2017 - In the G20 Leaders Declaration, Shaping an interconnected world, released on 8 July after meeting in Hamburg, Germany, G20 leaders reaffirmed their commitment to address illegal trade in wildlife and wildlife products, particularly through combating corruption. The leaders state that: “We will intensify our fight against corruption related to illegal trade in wildlife and wildlife products. 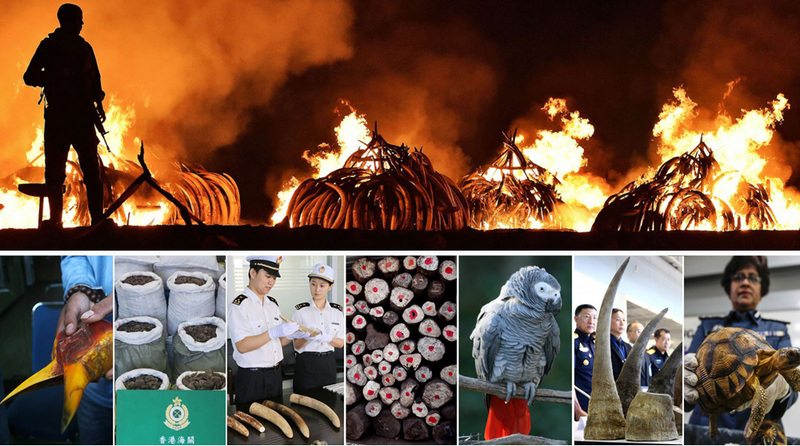 Wildlife trafficking is a threat to the planet’s biodiversity, economic development, and, among others, health and security, and is facilitated by high levels of corruption, which the G20 cannot tolerate." The High Level Principles on Combating Corruption Related to Illegal Trade in Wildlife and Wildlife Products, adopted as an annex of the G20 Leaders’ Declaration, sets out concrete steps to combat this corruption, including through strengthening legislation, law enforcement and capacity building frameworks, establishing preventive measures such as demand reduction and risk mitigation, and implementing concrete actions on investigation, prosecution and sanctioning. These High Level Principles make specific reference to the historic CITES CoP17 resolution on combating corruption, making the CITES permit system more resilient against corruption, including through the CITES electronic permitting system and enhanced traceability, as well as to the critical role of the International Consortium on Combating Wildlife Crime (ICCWC) in combating corruption, in which CITES is a partner, together with INTERPOL, UNODC, the World Bank and the World Customs Organisation. The Declaration also reaffirms the fundamental legal framework that CITES provides for the regulation of international trade in more than 36,000 listed species of wild animals and plants. It also recognizes the threats posed to a number of high-value CITES-listed species that are targeted by organized crime groups. “The recent record breaking seizures of elephant ivory in Asia, with nearly 10 tonnes of ivory confiscated last week alone by Customs and police officers, reminds us that while good progress has been made in the flight against illegal trade in wildlife, we must continue to further strengthen our collective efforts. With high level commitments and concerted national efforts, including major decisions in source and destination countries, we are clearly on the right track to address illegal trade in wildlife and if we persist we will win this fight” added Scanlon. Most recently, the CITES Parties adopted a resolution making reference to “all points of the trade chain, in source, transit and market countries” and calling on its members to ensure the implementation, enforcement and effectiveness of CITES by “adopt[ing] measures to […] detect and counter instances of corruption”. b) Wildlife enforcement networks: Promoting the incorporation of anti-corruption measures in work plans of national, regional and sub-regional wildlife enforcement networks and platforms for cross-border information exchange. Promoting peer learning and exchange of good practices in those networks. The International Consortium on Combating Wildlife Crime (ICCWC) should continue to support national wildlife law enforcement authorities and sub-regional and regional networks in the identification, prevention and combat of corrupt practices related to wildlife trafficking. d) CITES permit system: Supporting measures aimed at making the CITES permit system more resilient against corruption, e.g. through ensuring robust findings, introducing and/or implementing electronic systems for managing permits, increasing the traceability of wildlife products, sharing permit data and reporting on trade using international standards, increasing international cooperation and efforts to address corruption as well as through the promotion of capacity building for CITES authorities and authorities responsible for administration, regulation and enforcement of the Convention.